- Massive snowfalls in the Pyrenees (still continuing). - Scottish ski season starts, stops, then starts again. - Big snowfalls in the Alps - some French areas receive over a metre in 48 hours. - High avalanche danger (Level 4 of 5) in big snowfall areas. - Very low temperatures from Polar Vortex in parts of Eastern North America. - St. Anton upper slope base depth goes over 5 metres. It's been another snowy week in Europe's Alps, with the greater accumulations in the West rather than the East over the last seven days. But the really big snowfalls have been down in the Pyrenees; big news for the region as until about 10 days ago, many centres in the area had been struggling to open much terrain after several dry months. Now that has all changed. Another region that had been dry for the first few months of the season, The Dolomites, has also seen some snowfall this week with much more on the way over the next six days. Elsewhere in Europe, Bulgaria has had more good snowfalls and things are starting to look up at last in Scotland for the season there finally getting properly started. Across the Atlantic, it has been a quieter week with few huge snowfalls reported compared to previous weeks. A 'Polar Vortex' has been making things very cold in the Midwest and East. Much of the European Alps will see temperatures turn milder for a few days into this weekend... before it all turns cold again with the arrival of, yes, more snow. Substantial falls are expected, across a wide area, with ski areas in The Dolomites likely to see some of the biggest accumulations (50cm+ over the next few days). Austria was hitting the headlines for huge snowfalls until mid-January, but we're now back into something like a 'normal winter' (whatever one of those is), with some regular snowfalls bringing more decent accumulations - just not metres at a time. So accumulations in the past week have been around 20-50cm across most areas in the country, with ski areas down in the south-east (Carinthia) which had missed out on the big falls earlier in the month also seeing more snow. Base depths in the North and West are some of the best in decades with most over 2 metres and quite a few posting more than 3 or even 4 metres of snow lying on upper runs. St Anton is top of the pile reporting 505cm up top. French ski areas – both in the Alps and Pyrenees - have dominated Europe's snowfall tables over the past week. 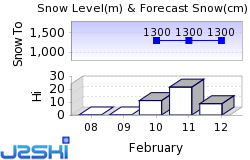 In the Pyrenees, several ski areas have posted 2 metre plus 7-day accumulations over the past week. 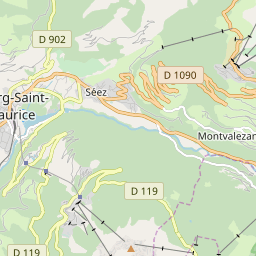 At the time of writing La Mongie/Bareges had the biggest at 2.5 metres (more than 8 feet) and previously other areas in the region have reported as much as 2.9 metres in the same period but up to Tuesday or Monday. As the area had been suffering from too little snow this winter until recently it's great news for the rest of the season. In the Alps the heavy snowfall is more recent – really starting last weekend – but Megeve has posted three days out of the past four when it claimed a 50cm accumulation each time for a 1.5m (five foot) tally. Most other resorts across France have had big (if not quite such big) snowfalls. The results are lots of powder, low visibility, deepening bases, high avalanche danger and occasional issues with blocked access roads and buried lifts. The snowfall is expected to continue with more heavy falls at times through the week ahead. A snowier week than for much of the past few months in Italy with the Dolomites receiving some decent snowfalls of 10-30cm and some snow in the West too along the French and Swiss borders. The stand-out resort here is La Thuile, right on the French border (in fact lift and piste connected to La Rosiere in France), which reports 1.4 metres of snowfall in the past few days, far more than anywhere else in the country and indeed the biggest single snowfall reported in Italy all winter. It is looking increasingly snowy for the week ahead too with parts of the Dolomites potentially seeing up to a metre of snow by this time next week – more than they've had during the season to date. Friday and Saturday look like the snowiest days. It's been another often snowy week in Switzerland with resorts in the West of the country seeing bigger snowfalls than resorts in the East. The Swiss resorts of the Portes du Soleil have seen some of the biggest falls, posting 80cm of new snow since the weekend at Champery, Morgins and Torgon. Central and eastern areas still have the deepest bases in the country (and in Europe, and the World), however, with Andermatt still the only area on the planet so far this season to hit a 6 metre (20 foot) base on its upper runs. Engelberg is not far behind on 520cm. The week ahead looks like it will stay fairly snowy with moderate accumulations of 30-60cm on ski slopes across the country by this time next week, with the weekend looking the snowiest period at present. A fairly dry week in Scandinavia with a few centimetres more snow at many areas, gradually building bases ever deeper. Next week the FIS Alpine World Championships in Are, Sweden, will bring a global focus to the region. The base depth here is at around 70cm and about two-thirds of the area is open. Elsewhere ski areas in Eastern Norway have seen some of the biggest snowfalls of the past week with about 30cm more at resorts like Geilo, Hemsedal and Trysil. There have been the biggest snowfalls this season by some distance in the Pyrenees this week. As mentioned in the French section some French Pyrenees resorts claimed more than two metres of snowfall in the past week, but there have been huge snowfalls on the Spanish side and in Andorra too, and the snowfall looks like it will continue to be heavy through the week ahead too. 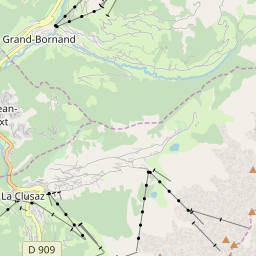 Bases are building fast with most areas in Andorra now reporting around a metre at resort level (which had had zero snow until recently in some cases due to the dry December and much of January) and towards two metres up top. A frustrating week on Scottish hills but there seems to be light at the end of the tunnel. This time last week the season was finally getting started at Nevis Range and Glencoe with a few runs able to open after a week of cold weather, some snowfall and snow-making. But then temperatures shot back well above freezing, storms moved in, and we were back to square one to some extent. Since Sunday it's been sub-zero again, there's some fresh snow and this time The Lecht has opened some runs saying conditions are great. Cairngorm, Glencoe and Nevis Range also have some longer runs open now as well as the small areas for beginners and they're endeavouring to stretch to something more by this weekend all being well. Glenshee is currently open to school groups only but plans to open to everyone from Saturday, all being well. It has been a snowy week in Bulgaria with bases building fast and some issues with lifts after all the heavy snowfall at the end of last week. Bases here are now between 1.5 and 2.5 metres on upper slopes with another 30-60cm of snow forecast over the coming week. A few quiet days are expected before the next dump begins at the weekend. Almost every run is open and every lift operating in the country. Most of the snowfall reported in Canada over the past week, and particularly since the weekend, has been falling in the East, with ski areas in Quebec posting up to 30cm of fresh snow in the past 48 hours alone. Mont Tremblant, which has had 26cm in that period actually has the deepest base in Canada on its upper runs, and one of the deepest in North America, at 333cm (over 11 feet). That's some way ahead of resorts in BC (Whistler is on 242cm, one of the deepest in the West). The week ahead looks to be similar with not much snow forecast but there could be some sizeable falls towards the weekend on the Pacific coast including 50cm for Whistler and for smaller ski areas on Vancouver Island. After a mostly snowy January in Western USA, it has been a largely quiet week with smaller accumulations in the West than the East, on the whole, over the past 7 days. The story in the East and the Midwest however also continues to be the super cold, with temperatures dipping below -40 at times, leading some areas in states like Illinois, Wisconsin and Minnesota to close temporarily for safety reasons as they are unsure if machinery, as well as humans, can cope. Heavier snowfall is expected in the West next week and areas in Alaska already posted up to 5cm of snow in the last 48 hours. However, the accumulations are not expected to be huge – mostly in the 20-40cm range. 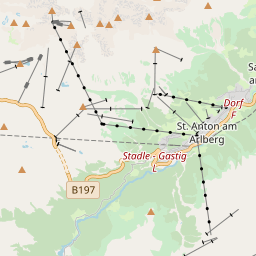 Ski Hire Shops in St. Anton am Arlberg, La Clusaz and Megève. Get a Coffee - watch this - La Clusaz and Wingsuits!